We flew PAL. Yes, the very same of the babalik-babalik-ka-rin fame. I don’t know… I have always had this fixation with PAL – probably because of travel commercials I watched over and over as a kid – that I will fly with the carrier even if their flight attendants – at least in the local routes – can be coldly impersonal to the point of being curt and they serve you sari-sarî store fare for hour-long trips. Our flight out of Manila was a tad late; and I don’t know if it was to compensate for that that we were made to board a bus for a mere 100-meter ride to where the glistening new A319 was parked. I and a few of the other passengers thought we could have boarded faster had we been asked to walk down the tarmac to the plane instead. 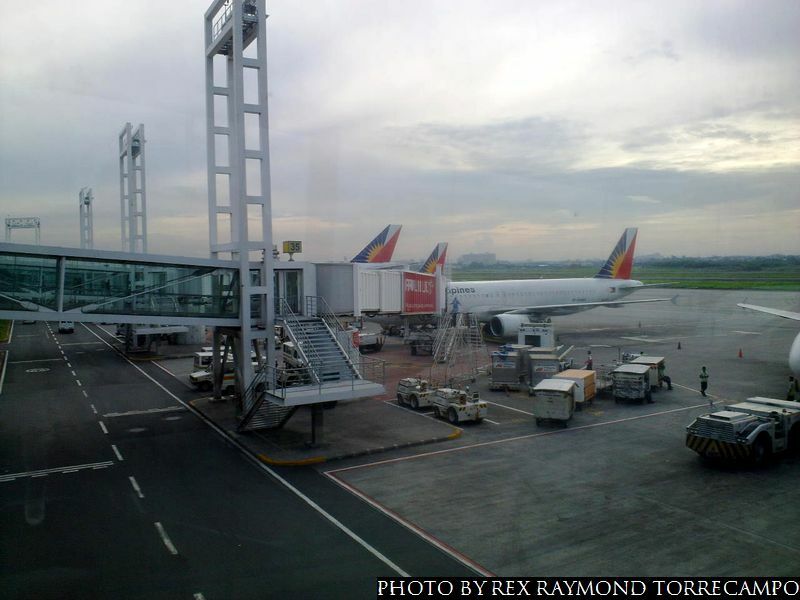 The flight to Bohol took just a little over an hour, and was largely uneventful. These modern passenger jet planes are so sophisticated that – or so I read somewhere – they can practically fly by themselves. That’s oversimplifying, of course; and while I felt the flight itself was smooth, malubak-lubak din as we approached Tagbilaran Airport. Somebody once told me – so far back I cannot remember exactly who or when – that PAL pilots were (notice the past tense) applauded by their passengers for their exquisite landings. I can personally attest to this because I myself had gone on PAL flights at the end of which the pilots brought their planes down so gently that the wheels actually caressed the runways upon landing. Aba… This landing at Tagbilaran… The plane hit the runway with such a hard thud that, I think, we bounced off it for a millisecond before finally settling down again to roll down the runway’s length. Parked on the tarmac was a Zest Air A319, and passengers waiting to board it were already camped inside the cramped departure area. There were no seats left so my colleagues and I had no choice but to stand right next to Boarding Gate 2. There was just one other boarding gate. Before long, our own PAL A319 arrived, unloaded its passengers and baggage and was ready to board outbound passengers. Now, make what you wish of this: the PAL airplane was outside Gate 2, close to which I, my colleagues and many other PAL passengers stood. The Zest Air plane was parked just outside Gate 1, close to which the Zest Air passengers naturally waited. It just had to be that both planes boarded at the same time. Zest Air passengers were assigned to Gate 2 and PAL passengers were assigned to Gate 1. In the scramble to board, passengers of the two flights ran smack into each other. The flight back to Manila, needless to say, was again uneventful. Except for the fact that I was so hungry pinatulan ko ‘yung manî and biscuits that the stewards served… The flight, I thought, was even smoother than the one three days earlier. But then again, the landing… My word! The landing!!! Aba’y talagang ibinalibang ang eroplano sa kalye…!!! All’s well, though; and of course I will continue to fly PAL. One just wonders whatever happened to those smooth-landing pilots who made not only flying such a pleasurable experience.